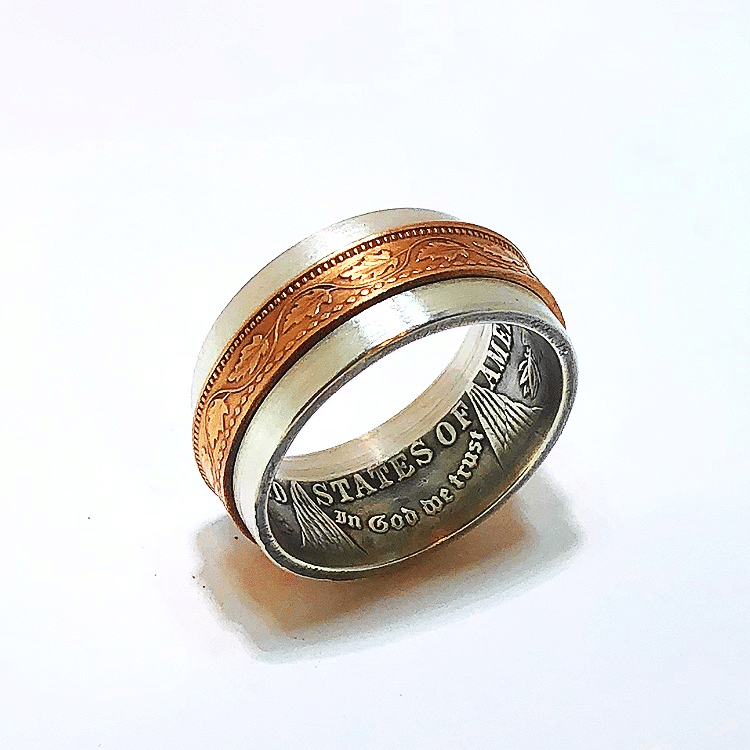 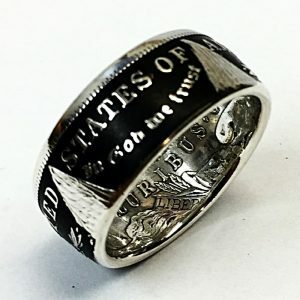 The Spinner Ring is made from a Morgan Dollar and a Canadian Large Cent. 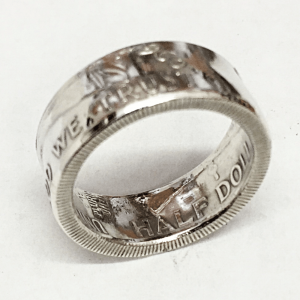 The Morgan Dollar is folded to display the Heads side of the coin inside the ring. 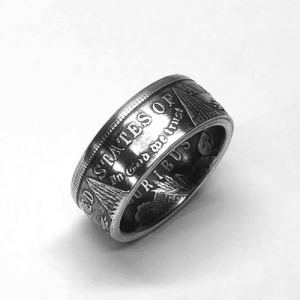 The Canadian Large Cent is set in a channel that is cut into the Morgan Dollar and left just loose enough to allow the Canadian Large Cent to spin freely.